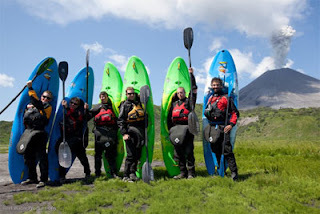 Kokatat, the 39 year-old independent paddle wear and accessories company is proud to announce their official sponsorship with The Kamchatka Project. Bryan Smith, a long time sponsored Kokatat Team Member, will lead an expedition of six Whitewater Kayakers as they explore the Siberian mountain landscapes of Russia’s Kamchatka Peninsula, one of the last truly wild places on earth, in an effort to raise public awareness of the complex relationships between the place, its people and its fisheries. The Kamchatka Project kayakers will be teaming up with scientists, conservation groups and local Russians to collaborate on establishing the critical date, curriculum and exposure needed to protect the region’s river drainages where one-sixth to one-forth of all wild salmon spawn. The largely unexplored yet lush area is threatened by potential harms such as caviar poaching and industrial land use. 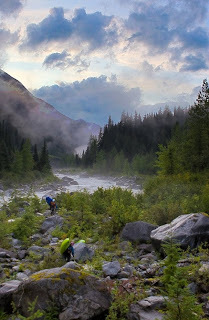 The Kamchatka Project is designed to not only create public awareness through all its outlets, including production of aNational Geographic Television show episode, but also contribute to expanding the knowledge surrounding Kamchatka’s ecology and hydrology. For the past 39 years, Kokatat has built a reputation as a friendly company of paddling enthusiasts, dedicated to creating innovative paddlewear and accessories. Kokatat is a highly trusted brand known for its independence, high level of quality in addition to an extremely well respected, service-driven business model. 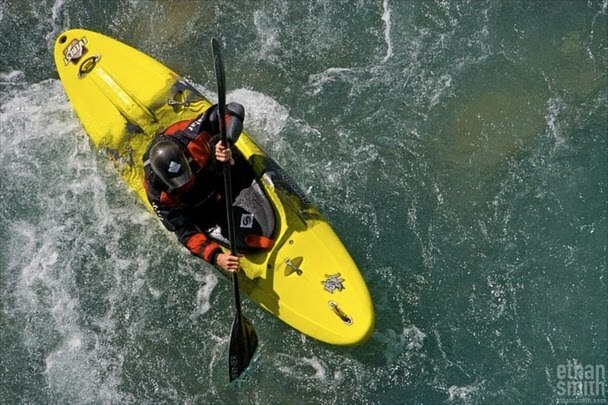 Kokatat is an incredibly strong brand and is known for authenticity and launching game changing paddling products. Please visit www.kokatat.com and follow Kokatat on Twitter “@kokatat”.